Purples and blues have been a real color trend lately in weddings, house parties, flower choices and more. Today’s inspiration puts a little twist on it and is seriously jaw dropping gorgeous. 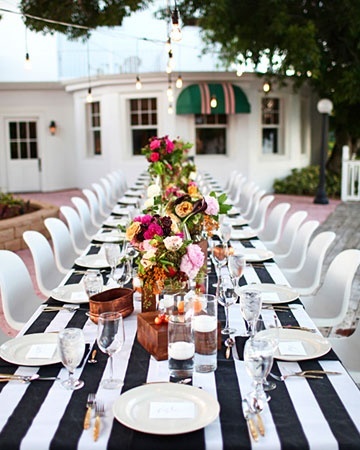 I love how this tablescape adds in green, it really adds to the sophistication. 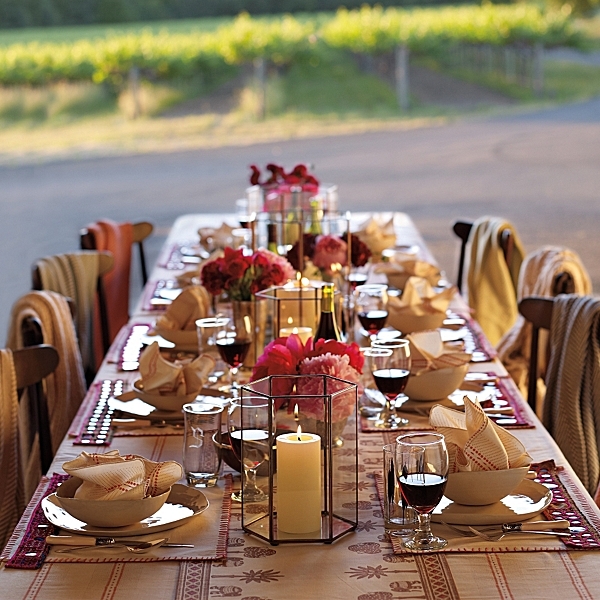 What I also love about this table is the fabulous candle votives that they use. What different shapes and vibrant colors! 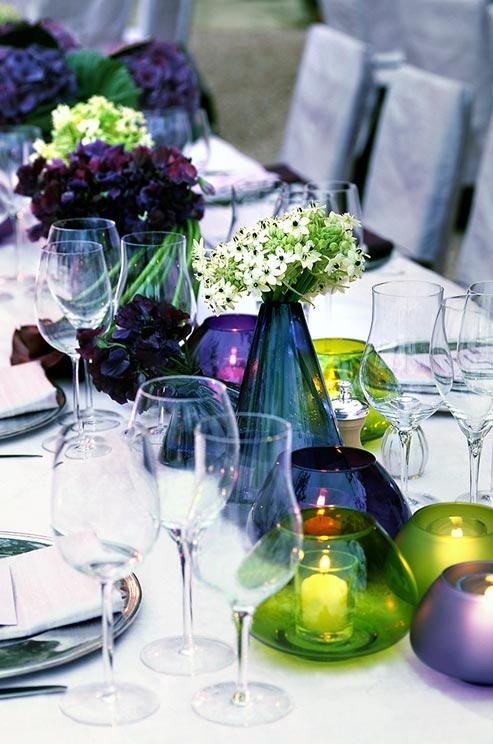 Using them three ways as vases, votives and adding color to the table is genius! What a lovely house party, wedding or even outdoor fete huh?